Having issues with your Honda? There are a number of common problems with Honda vehicles such as vibration when breaking, transmission failure, overheating, and more. This article will walk you through what could be happening with your Honda. If you're looking for a Honda specialist in Kitchener-Waterloo, trust Hansma Automotive. Hansma has been servicing Hondas for over 30 years. Contact the professionals at Hansma today to have your Honda serviced. Often, as with any vehicle manufacturer, there are common problems found throughout multiple vehicle models. Below are 10 common problems with Honda vehicles. If you are experiencing any of these problems please contact Hansma immediately to have your problems resolved. Often with Hondas, a common problem reported is vibration in the brakes. This can be caused by the brake rotors. It may cause a shaking, vibrating, rattling noise and often can be felt in the vehicle. Rotors will need to be looked at by a mechanic to see if they need to be replaced or if they can be fixed. If they’re worn too thin they may need replacement. Contact Hansma to book your appointment today. The Odyssey had a major issue of the transmission fluid overheating. Because of this overheating issue, the internal components would not get enough cooling and this causes the transmission to fail, a common problem in a number of Hondas. If you are looking to have your transmission repaired contact Hansma today. This is a problem quite unique to Honda vehicles. It is one that can be frustrating to owners because the door can activate on its own causing the owner trouble with entry into the vehicle. The problem usually shows its face around 160,000 km. Because of this issue, the car remote door lock also has problems and will not work. As mentioned above, transmission issues are common with Honda vehicles. Usually over 110,000 km transmission issues such as: poor shifting, skipping, or failure may occur. The repair could very well require a full transmission replacement. Contact Hansma today to learn more about what type of repair your transmission problem requires. The Honda car air conditioner can often fail from contact with road debris and the lack of protection for the condenser. If this problem occurs be sure to go to your local repair shop to ensure it gets properly repaired. For Honda Accords with over 175,000 km, the dashboard display could go dark, especially the radio and climate control. This is a problem caused by a faulty circuit board which should be replaced. To learn more about this type of replacement from the trusted professionals at Hansma check out the general repair page. A cracked exhaust is common on both exhaust manifolds and manifold/converter combination. The problem must be fixed by a trusted professional. This is a common problem found In some specific models of Hondas. The issue is that the hood release cable breaks. If this has happened to you please contact Hansma, your trusted Honda specialist, as soon as possible. The moment you hear squealing or feel shaking when turning a part of your steering or suspension is broken. With Hondas, the compliance bushing is typically the culprit, especially in Accords with 150,000 kms or more. In Certain Honda models, a faulty power window switch can cause the power windows to not work periodically. If this is an issue you are having, be sure to check out the general repair page and contact Hansma today. At Hansma we offer service with a difference. We have worked hard to gain a reputation for honesty and quality work. 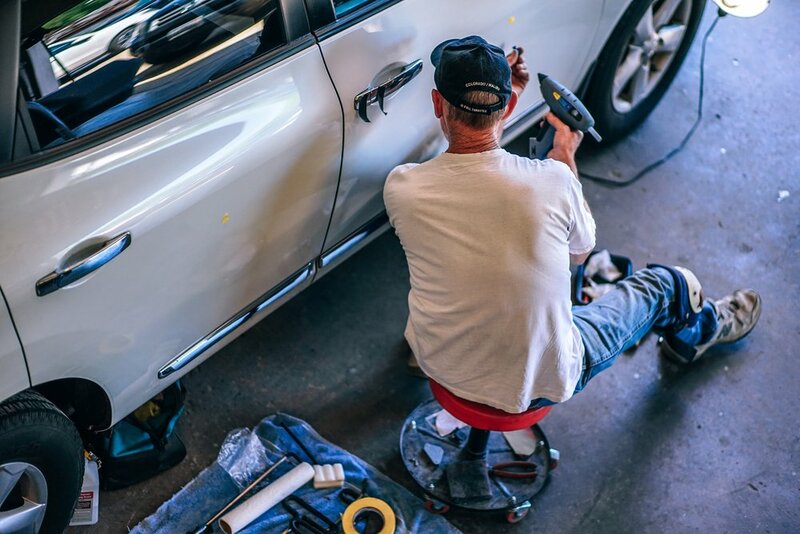 As Honda experts, trust the professionals at Hansma to only recommend and carry out the repairs that you actually need. We will let you know what you need done and when it should be done. Our customers have come to consider us as their mechanic friend. And as your mechanic friend, we promise to give you top-notch service at reasonable and competitive rates. Click here to meet our friendly team, read our testimonials, and contact us today and find out about the Hansma service difference for yourself. We are open every weekday from 8 AM to 6 PM. Come see us at 88 Shoemaker St. in Kitchener, Ontario. Posted on February 9, 2018 by Hansma Marketing.